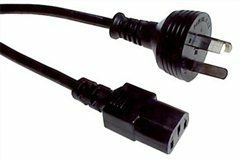 Product Description IEC C-13 Power Cord 3 Pin Plug to IEC Female - 5m long As used on most computers and office equipment. 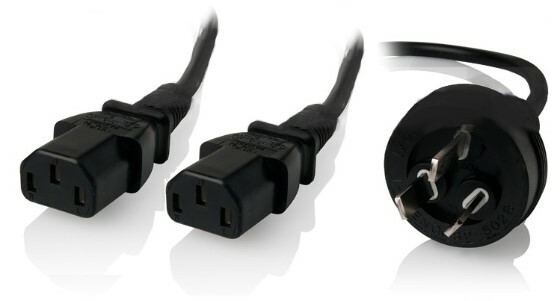 Fitted with IEC-C13 connector and Australian 3-pin mains plug with insulated pins compliant with AS/NZS3112. Electrical Safety Authority Approved.